The EU and Mexico reached an agreement on updated trading relations, within its modernised Global Agreement on 21st April, with substantial gains for EU dairy exports. Mexico has a population of 128 million and is Ireland’s largest trading partner in Latin America (with trade worth €1.7bn last year). 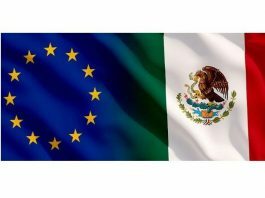 The agreement has established tariff free access for 99% of products traded between the EU and Mexico. Dairy products however will fall under new quotas with customs duties to be eliminated over a five-year period. The new agreement also commits to increased co-operation on health matters and product standards through the establishment of a SPS committee. Further technical details must still be finalised, with a full legal text expected at the end of 2018.